The only thing that will drag your eyes away from the views on a picnic in paradise will be the taste of the home-grown Norfolk Island food. 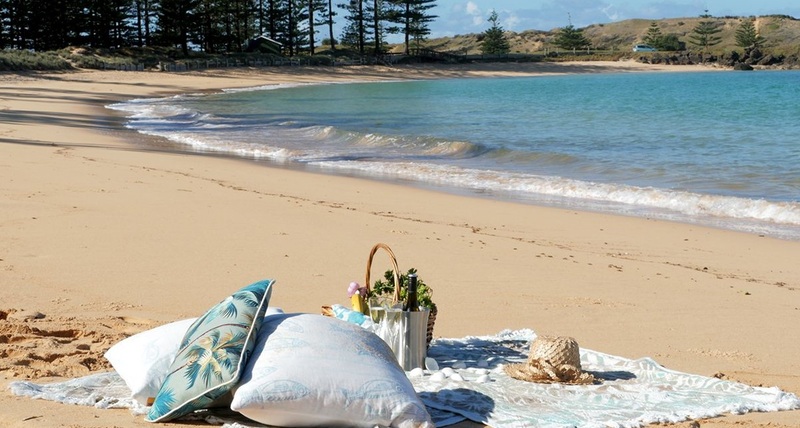 Norfolk Island is full of wonderful picnic spots where you can relax on thick, green grass while you gaze over the ocean or sit comfortably at picnic tables. Madeline Ponti is a local who knows all the best spots, but she is happy to share her tips and send you off on your way with one of her Picnic in Paradise hampers made with the freshest local produce. "See You Morla, on Norfolk Island Time"